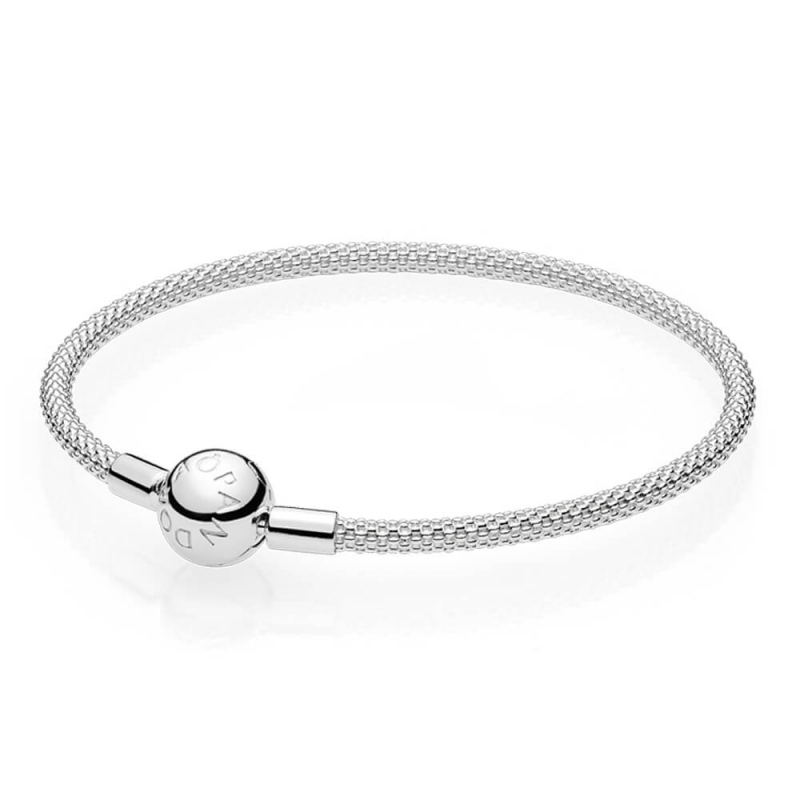 PANDORA Moments Silver Mesh Bracelet. This intriguing textured bracelet can be enhanced with charms but also looks gorgeous without, especially stacked. Made from sterling silver with a titanium core. Love bangle but ordered wrong size. No problem exchanging it.